While the business community has long asked the government to rid itself of corruption, a recent anti-corruption survey among business owners showed majority of them have done little to curb corruption on their end. The Social Weather Stations’ (SWS) enterprise survey on corruption for 2012 found that 57 percent of respondents spent nothing in the last two years to combat fraud and corruption in their companies. Seventy-six percent spent nothing to contribute to any private anti-corruption program in the last two years. Although they found 67 percent of enterprises willing to contribute to fund a program that would halve public sector corruption in 10 years, those willing to contribute are only willing to shell out five percent, at most, of their net income. 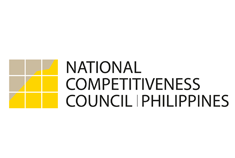 Results of the enterprise survey on corruption were presented by SWS president Mahar Mangahas in a recent road show by the National Competitiveness Council. The results show that 67 percent disagree that they cannot do anything to reduce corruption in the government. Fifty-two percent expect a positive change in net income if corruption is reduced to that of Singapore. Most in the business sector said they believe there is “a little” corruption in the private sector, with just 11 percent thinking there is a lot. But when the SWS asked the general public, 38 percent felt there is a lot of corruption in the private sector as well. In the survey, the SWS listed seven areas where government personnel probably solicit for bribes. These are in getting local government permits and licenses; assessment and payment of income taxes; getting national permits and licenses; complying with import regulations and payment of import duties; supplying government with goods or services; collecting receivables from government; and availing of government incentives. Fifty percent said they were solicited for at least one of the seven bribes; at least 31 percent claimed they were solicited for a bribe in getting local government permits and licenses. Twenty-seven percent said they were solicited during assessment or payment of taxes, while 19 percent were approached in getting national government permits or licenses. In Metro Cebu, 56 percent claimed to have been solicited for any of the seven bribes; 32 percent of them said this happened while they were getting local government permits and licenses. Twenty-six percent said they were solicited for bribes in getting assessments or in paying taxes. About 20 percent received solicitations while getting permits and licenses from the national government; 28 percent in complying with import regulations and duties; 18 percent in supplying the government with goods or services; 11 percent in collecting receivables from government; and eight percent in availing themselves of government incentives. Despite these cases, 95 percent of the Cebuano respondents did not report the bribe solicitation, close to the 91 percent national figure. Majority of those who did not report the bribe reasoned that nothing could be done anyway if they reported it. Thirty-nine percent said they could not prove it happened while 34 percent feared reprisal if they dared to report anything. Twenty-six percent said it was too small a problem to bother reporting it, and 25 percent did not know how or to whom they should report the bribe solicitation. Twenty-one percent claimed it was standard practice not to report, while 21 percent felt they would spend too much if they did. Thirteen percent said they did not want to betray anyone while eight percent said they would be embarrassed if they reported it. It is the area of procurement that they consider the most vulnerable to corruption, while human resource management is the least. Sectors considered most vulnerable to corruption include construction, mining and quarrying, and government services. Sought for comment on the results, Cebu Chamber of Commerce and Industry president Prudencio Gesta said these should be taken positively because it means there is more room to improve in both the public and private sectors. SWS surveyed 826 persons nationwide from July 16 to Sept. 7 for this round of the survey and reported an error margin of plus-minus three percent. The group surveyed 100 in Metro Cebu, where the error margin was pegged at 10 percent.